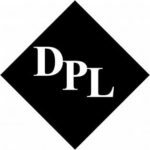 Intellectual property law firm focusing on patents in the mechanical, biotechnology, medical, pharmaceutical, optical arts, and many more. Personable and attentive estate planning attorney in Marietta, GA. Georgia business law, probate administration, probate disputes, and real estate closings across Metro Atlanta, Cobb County, and across Georgia. Let Stan Faulkner help with your family’s estate plan or business law strategy. If you’re a business or individual in the Metro or North Atlanta area, Faulkner Law can streamline the entire legal process for you, saving you precious time and money. Conveniently located in downtown Marietta, Georgia, and capable of resolving cases statewide in Georgia, Faulkner Law is an excellent legal solution if you are seeking an enthusiastic and flexible lawyer to help you gain peace of mind in your personal and business endeavors. Mr. Faulkner is an experienced counselor and litigator with 15 years of experience, having held bar licenses in four states (Mo, Il, Ct and Ga). He has litigated in state and federal courts with much success. He has also appeared in the Court of Appeal in both Missouri and Illinois. Through is efforts, he has achieved significant results for his clients, including a settlement worth $39 million dollars for the residents of Hartford, Illinois. 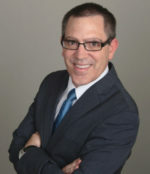 Mr. Faulkner uses this experience and focuses his skills in the pursuit of assisting individuals in probate (trust and estate) matters, guardianships and conservatorships, estate planning, business disputes and contract disputes. He is tireless in serving the needs of his clients. Outside of the office, you can find Stan spending time with his lovely wife, twin daughters and young son, involved in various activities from cheerleading to baseball. In his free time, Stan stays active in the Crossfit community competing in local and regional events. Stan is also an avid St. Louis Cardinals baseball fan and enjoys watching and attending college football games in the fall. 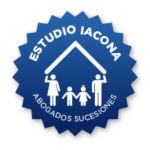 Iacona will estate process in argentina, is a law firm based in buenos aires, we are dedicated to give fast and effective solutions to all your requirements. 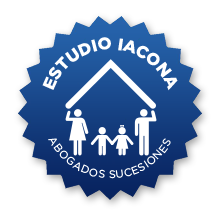 if you need to start a legal process at the argentinean courts, send us an email or call us.